A place where contemporary style meets old world heritage, the Park Hyatt Siem Reap takes you on an intimate journey into this land of temples. 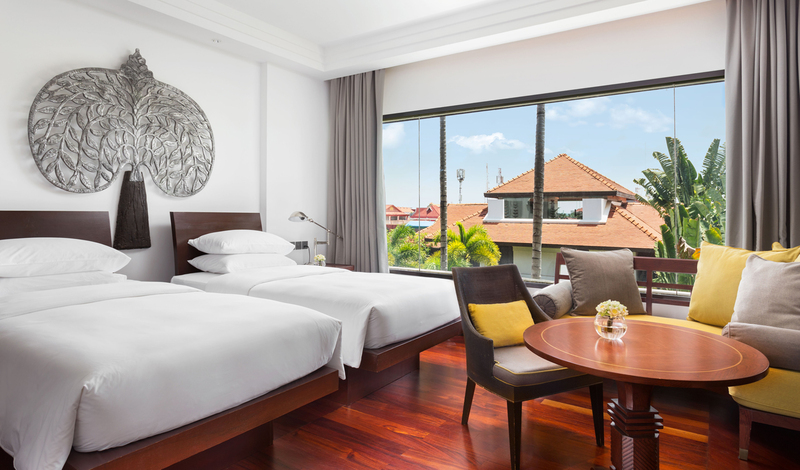 Modern yet authentic, the beautiful grounds and 104 elegant guestrooms honour Khmer tradition whilst giving it a sophisticated twist. Think signature buddha imagery and clean lines with bursts of colour and you get the idea. Add to that exquisite French-Indochine cuisine, a therapeutic spa and an unrivalled location, and you’ve got the perfect cultural getaway. Few addresses offer as much prestige as this. Centrally located in the Ancient City, culture is at your fingertips. Just a 15 minute drive away from the wonder of Angkor Wat and 20 minutes from Siem Reap Airport, you really are in the heart of it all. When you’re not running through temples, Siem Reap also offers a number of delightful bars, restaurants and cafes, all just a stroll away from the Park Hyatt. 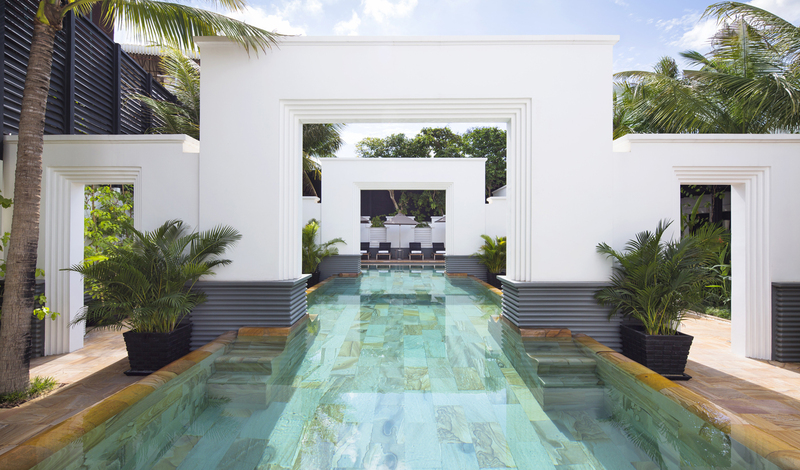 Sophisticated and elegant, with a touch of Khmer heritage, the 104 rooms and suites at Park Hyatt Siem Reap offer a luxurious space to retreat to. Featuring king-sized beds as standard and decadent Italian marble bathrooms, you’re guaranteed all the comfort of the modern world whilst enjoying the splendour of this ancient land. For added decadence, opt for a suite and sprawl out in your private garden and swimming pool. The Park Hyatt know why you’re here – the temples. They also know the best ways to see them and make it possible. Sunrise at Angkor Wat is a sight that simply cannot be missed – and with a breakfast served until 11 am, it doesn’t have to be rushed either. After a tantalising first look at this magnificent complex, you can return to the hotel for a sumptuous breakfast in The Dining Room and a quick dip in one of the two pools, before heading out again. Angkor Thom this time perhaps?